Volume 3, Edition 3	 Trouble loading? View this email online. 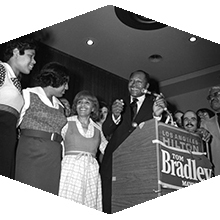 CSUN has joined forces with the Tom and Ethel Bradley Foundation to develop a unique resource for the study of the ethnic communities of Los Angeles and the sharing of their stories. 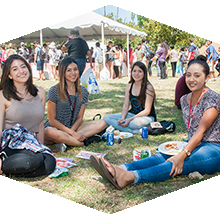 Thousands of students got the opportunity to interact with faculty and staff outside of the classroom at CSUN’s annual President’s Picnic on Aug. 27 on Matador Lawn. Thu, Sept. 3, 7 p.m.
Voted by international critics as the greatest film ever made. Sun, Sept. 6, 1 p.m. The Matadors look to keep up their hot start against Detroit. Fri, Sept. 18, 7:30 p.m.
A tale of lust, love and rebellion in rural Spain. Looking for local, fresh produce? The AS Farmers Market is a great place to get your fill of greens, bread and even pupusas right on the CSUN campus. Join the Journalism Alumni Association in offering tips to broadcast, print and public relations students at this annual event. Join other CSUN alumni attorneys for dinner, networking and a guest speaker.